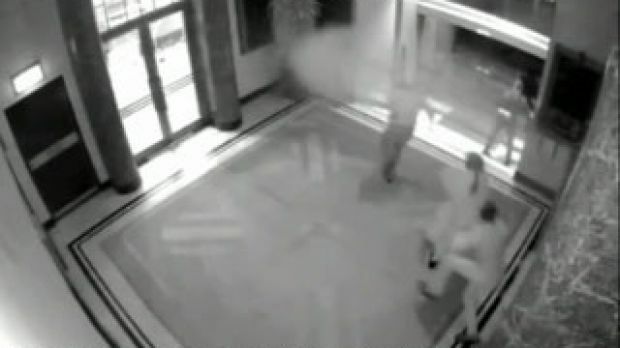 Cameras captured the moment the hostages fled the cafe as Man Haron Monis shot at the door. The response of the NSW police, in particular their strategy of "contain and negotiate" with Monis as he held 18 hostages at gunpoint, was foreshadowed as a critical issue before the inquest by counsel assisting the Coroner Sophie Callan during her opening remarks on Tuesday. Describing the "contain and negotiate" strategy as "at the heart of the police response", Ms Callan told the inquest the police's plan to storm was part of an emergency action plan, one which would only be triggered if a hostage was killed or injured. ...Police formed the "strong view" that the containment strategy could deliver a "peaceful negotiated outcome", the inquest heard. "That view was based on matters such as Monis not having harmed any hostages, despite having threatened to do so, Monis not having reacted violently despite the escape of five hostages on two separate occasions and the fact that Monis' behaviour had not escalated despite most of his demands not being met," Ms Callan said.